Defeated the British and Indian forces during the Battle of the Thames. William was born in Staunton Twp. 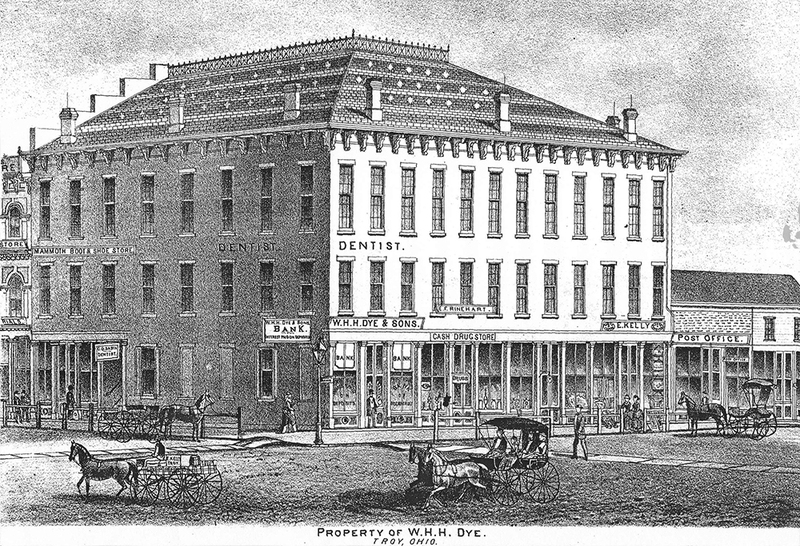 and at age 16 moved to Troy where he gained employment as a clerk. In 1839 he married Miss Martha Culbertson and the following year purchased the Bosson Brothers’ Mill south of Troy in partnership with his father-in-law and three brothers-in-law, whose interests he later purchased. William converted the flour mill into a distillery and made a small fortune selling spirits during the Civil War as whiskey prices had soared during that time. After the war ended he stopped distilling, before the price of whiskey dropped, and converted the distillery back to a flour mill. In 1877 he began processing linseed oil; the mill was at that time being operated by his son and son-in-law. Ten years later William sold the mill property, and its accompanying pond, which was located off of Dye Mill Rd. which branches off of E. Main St. and connects with County Rd. 25A at the north end of Waco Field. For many years G.C. Murphy and Co. occupied the entire ground floor of the Dye Building. In 1941 the store was robbed by a man from Peru, Indiana. The man had reportedly been in Dayton, Ohio looking for a job where he came up with the idea to stage the robbery. He pulled it off and escaped back to Indiana. However, the manager of the store, Earl Davis, was able to describe his likeness to the police who subsequently arrested him. Mr. Davis traveled to Indiana to verify his identity. When G.C. Murphy closed their doors around 1971, the building became vacant. For most of the 1970’s and 1980’s, most of the building was deserted except for a business here and there on the 1st floor; the 2nd and 3rd floors ‘of this building were likely deserted even longer. In 1987 7 S. Market became the home of the Upper Krust restaurant which was replaced the following year by Taggarts restaurant which remained at this location until the spring of 2007 just prior to the sale of the building to Tony Blundell of the Medallion Investment Group which planned to renovate and restore the building. 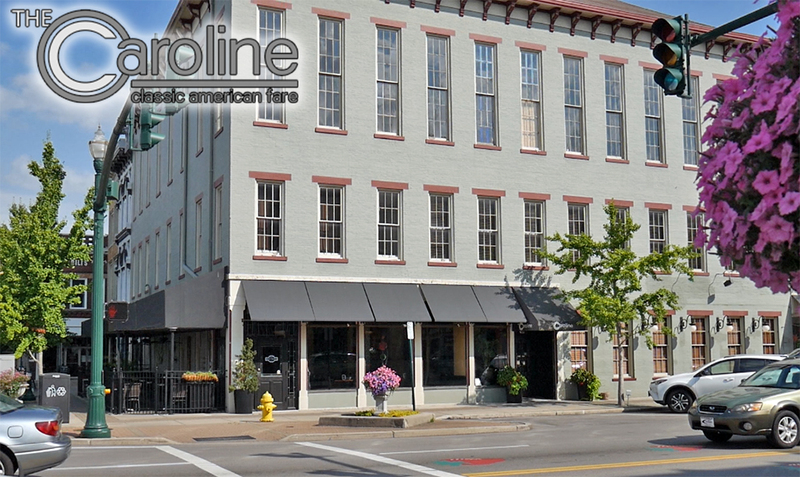 In January of 2008 the Caroline restaurant opened its doors and the 2nd floor $600,000.00 renovations were completed in December of that year. The second floor renovation included the construction of an elevator and division of the space into four office suites.